Sharing the Gospel of Jesus Christ one road at a time. In the past 4 years, Tina Fischer has cycled over 2800 km and has witnessed to hundreds of people, including praying for salvation and ministering the Baptism of the Holy Spirit. 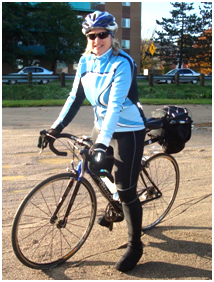 This will be her 5th year of cycling across Ontario, visiting many towns and sharing the Christian gospel to as many people as possible. 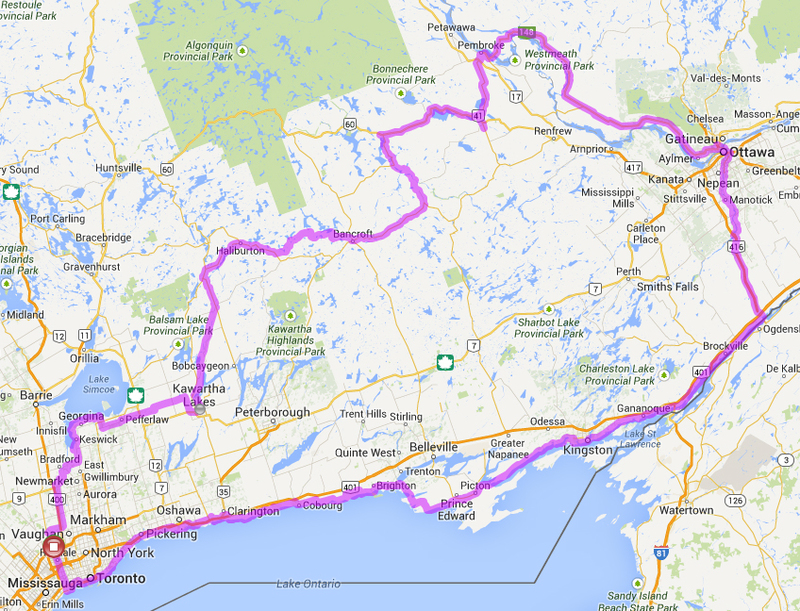 This July and August Tina has planned an ambitious 6 week ride that will take her north to the southern shores of Lake Simcoe, and then east towards Kawartha Lakes, north to Haliburton, and then east again to Bancroft. Pembroke is the farthest town north on her route. She will continue cycling south to Ottawa, being the furthest eastern city on her route. She will continue south to Brockville and then west towards Toronto. Her final stretch will continue west along the shores of Lake Ontario leading back to Woodbridge where she originally started. A total round trip of 1300 km, Tina will ride her Kona cross bike, complete with panniers, a single wheel bike trailer and self supporting camping gear. Her route is a combination of road and rail trails that will take her through 50 small towns across north and south eastern Ontario! Please pray and ask Jesus how you can help support Tina’s ministry as she travels from town to town sharing the gospel of Jesus Christ. Donations can be made through the Gordon Williams Evangelistic Association. Visit the Cycling4jesus blog for frequent ministry updates and exciting testimonies from previous ministry trips. God has a Plan for everyone! Ask and it will be given to You! Gordon Williams Evangelistic Association is our affiliate church and supporting ministry. 4 Spiritual Laws Now is the time for Salvation! Watch this! Who is Jesus? Watch another! How to get saved. Must read for every Christian! What is speaking in tongues?